Week 6 of the Snowfall Challenge in Fortnite will bring back the secret banner which means a new banner can be added to your inventory. The Snowfall Challenge is a continuing challenge that will run throughout Season 7, the players need to complete enough of the challenges before the end of the season to unlock the mystery Snowfall skin. A previous version of the challenge was found in Season 6 where when players completed the challenges they would get a new loading screen which would show hints revealing to the location of the hidden banner. The loading screen for the sixth week of the season was leaked well in advance of the Week 6, meaning we already have a good idea of where you need to look in order to complete the challenge when it goes live on Thursday, January 9. 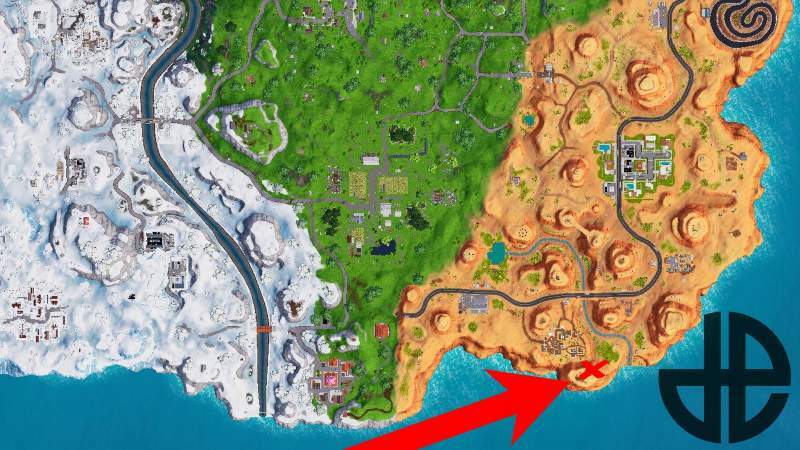 The loading for week 6 got leaked ahead of its time when it goes live on January 9, which gave a brief idea of where exactly you might be able to find the hidden banner, hoping that Epic Games do not make changes to the location, the banner can be found inside the southeast corner of the map, south of Paradise Palms and east of Lucky Landing. The exact location should be on top of one of the Devil’s Towers in the middle of a circle of trucks/RVs. We’ve marked the exact spot on the map below. 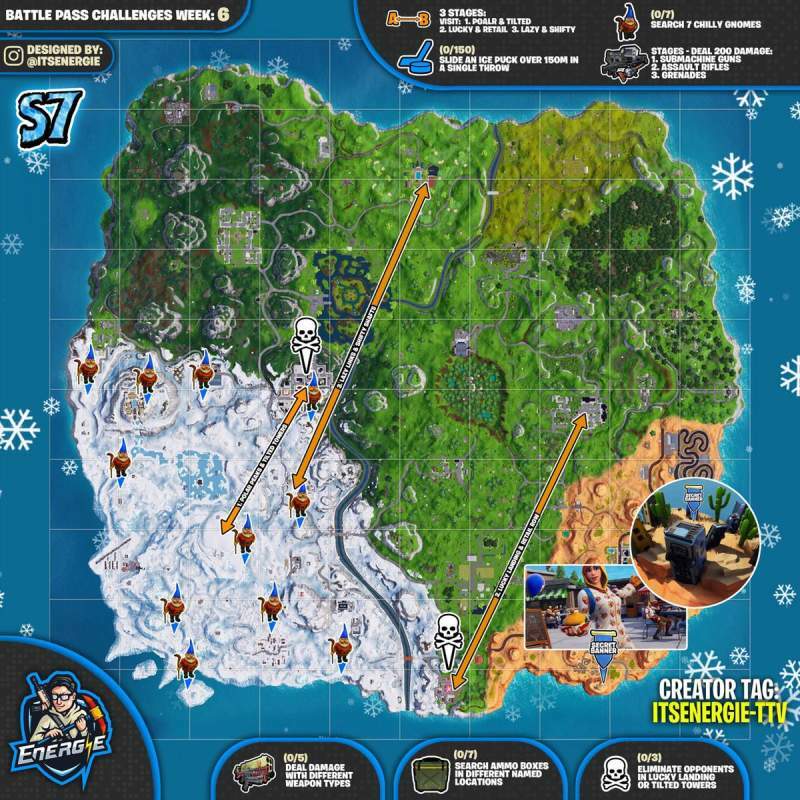 To unlock the Snowfall challenge you will need to complete all seven standard challenges and only then will the banner be available. We’re hoping nothing changes and it at all it does then we’ll notify you as soon as we know more about it. Check more Fortnite Season 7 Leaks only on Gamer Tweak.